This season's calendar is now finalised and updates will appear on the calendar page. Again the NSCA Grand Prix will be running, and the first part of this will be the 39th Northants Junior Congress taking place on Saturday 3rd November at Wellingborough School. Entry forms for this can now be downloaded here. Following on from the Gigafinals which took place in July, those players who scored well enough then progressed to the Terafinal and the Challengers sections which took place this month. In the Terafinal Toby Cox and Milly Kotecha played in the Under 14 section, scoring 4 out of 6 and 3 our of 6 respectively, whilst Jason Lv scored 3 out of 6 in the under 12 section. Meanwhile, in the Northern Challengers, Rion Ray came out a triumphant joint winner in the under 8 section, scoring 4.5 out of 5, dropping just half a point to another joint winner. Congratulations to all these players, and you can find all the scores of all the players via the chess results website here. Well, the season is almost over, and along with the excitement of this year's AGM which took place recently a number of players have been travelling around the country, some to Gigafinals, some to the British Championships in Hull, and some even to both! This year the Gigafinal stage of the UK Chess Challenge was split into three sections instead of the usual two, and whilst a few of our local players took part in the Northern Gigafinal in Manchester most played in the nearer "new" Midlands Gigafinal which was played in Solihull. All scores from all sections at the British Championships can be viewed here. ​Terafinal or the Challengers sections of the UK Chess Challenge taking place in September may we wish you lots of luck in your games. Congratulations to everybody who took part in this years Charity tournament, held at Our Lady's Catholic Primary School in Wellingborough on Saturday 23rd June 2018. Photos of some of the winners can be seen here, whilst all the scores for the day can be viewed here. 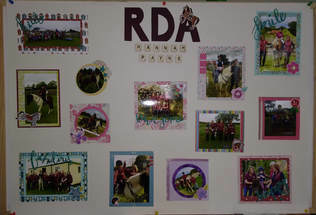 Riding for the Disabled Association, based in Mears Ashby. You can find out more about this wonderful charity through the following link here. This was also the last tournament in this seasons NSCA Grand Prix. Photos of some of those winners can be seen here, whilst the final updated leaderboard is available here. Congratulations to Max Miller, who was recently part of the ECF Juniors England Team which made the trip to Albania to take part in the 2018 World Schools Chess Championships. Against some of the top players from around the globe in his age group Max scored a brilliant 4 out of 9. You can read how the whole tournament went through the ECF Juniors website here. Max will be busy on England duty again next month, when he will be playing in the Glorney Cup in Scotland, taking on players from the home nations and Ireland. Our Charity Congress takes place on Saturday 23rd June at Our Lady's School in Wellingborough, and an entry form can now be downloaded he​re. ​This event again also forms the fourth and final part of this season's NSCA Grand Prix, so there will be lots to play for on the day. This year our chosen charity is the Hannah Payne Group of the Riding for The Disabled Association, based in Mears Ashby. You can find out more about this wonderful charity through the following link here. We had a turn out of over 100 players for this year's Megafinal, and despite the odd technical hiccup at the start of the day everything went according to plan. The slightly complicated method of tie-breaks used for this tournament caused the final results to take slightly longer than usual to determine, so thanks to all the parents and players for their patience, and congratulations to all the Supremos, Supremas, and all those scoring 3.5 points or more, and so qualifying for the Gigafinal - you should receive entry forms for this next stage of the competition over the coming weeks. ​Meanwhile, all the scores from all the sections will be available soon via the UK Chess Challenge website here. The under 9 final was held recently in Birmingham, as had the under 11 final a week earlier. And again, like the under 11 final, Kent came out as the champions. It was another extremely close fought final, with only half a point separating the top 3 teams and 4.5 points separating the top 6 teams! Many congratulations to Kent for becoming the champions in both age groups this season. ​All the scores from the under 9 final can be viewed here. If you are a primary school age chess player that has prequalified, or a secondary school age player, then you can enter online the Northamptonshire & Leicestershire Megafinal taking place in Wellingborough on Saturday 12th May. You can enter here, from where you can also find further information about the UK Chess Challenge. Congratulations to Kent, who just pipped Richmond to the title this year - both teams scored 48 out of 60, but Kent won the championship due to having scored their points through just one more win than Richmond! ​All the scores from the final can be viewed here. A number of Northants players made the relatively short trip to this year's Junior Squad Championships which took place in Daventry, and congratulations to both Alexander Richards and Toby Cox, who both came away from the competition with prizes. A list of prize winners can be viewed on the National Junior Squad website here. Despite both teams best efforts sadly neither our under 9s or our under 11s this season have managed to qualify for the EPSCA National Finals taking place in April. In the under 9 section Northants narrowly missed out, finishing only 2 points off of a qualification slot. However the under 11 team found it slightly harder going in a very strong group. Both sections were won by the Richmond team who have had somewhat of a resurgence over the past few seasons, so many congratulations to them. You can see all the final scores of all the teams and all of the players here for the under 9s and here for the under 11s. We will be holding the Northamptonshire and Leicestershire Megafinal on Saturday 12th May at Wellingborough School. This is a tournament that you pre-qualify for, usually through your school or chess club. However, if you haven't had the opportunity to qualify by those means we are holding a "Last Chance Saloon" on Saturday 14th April at St Peter's School in Northampton. All the details can be found on the entry form, which can be downloaded here. The Megafinal is part of the UK Chess Challenge, and the best players from that will progress on to the relevant Gigafinal. There are now three Gigafinals, and those qualifying from our Megafinal will play in the Midlands Gigafinal, taking place in Solihull over the weekend of 7th/8th July. The 2018 Northants Junior County Championships took place on 17th February with a very good turn out of players and some very close sections played. This event again took place at Wellingborough School, and we would like to thank the new headmaster there, Mr. Holman, for the continued use of the first class facilities at the school. A highlight of the day was the visit of John Warren, who many of you will know from his huge involvement previously with the NSCA. Unfortunately John has not been in the best of health of late, and so to see his smiling face presenting trophies again made a perfect ending to a wonderful day of chess. Photos from the day can be viewed here, whilst all the scores from all the sections can be viewed here. This was also the third part of this seasons NSCA Grand Prix, and you can see the leaders in each section here. A few county players have been travelling up and down the country to take part in some major competitions. 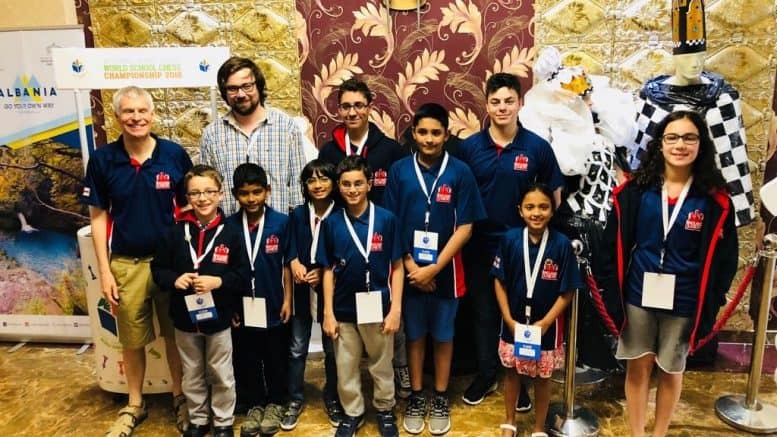 The first of these was the South of England Junior Chess Congress, which took place at Yateley Manor in Surrey over the last weekend of January. In the Under 16 Closed section both Ben Cox and Max Miller scored 2.5 out of 5 finishing joint 6th, whilst in the Under 14 Closed Toby Cox scored 3 out of 5 to finish joint 8th. In the Under 13 section Samia Sheikh had the same result, also scoring 3 and finishing joint 8th. In the under 11 section Alexander Richards scored 3.5 out of 5 to finish joint 7th out of 73 entrants, with Lucian Cox scoring 2. Meanwhile, in the under 9 section, David Richards scored 2 out of 6. ​You can check through all the scores from all the sections on the Congress website here. The following weekend Lucian Cox went north instead, travelling to Liverpool for the EPSCA Rapidplay championships, where he scored 3 out of 5 in the Under 11 section, finishing in joint 10th place out of 53 players. The scores from that section can be seen here. Well done to all of these players and it is great to see so many Northants players again travelling to these prestigious tournaments. With the County Junior Championships coming up in February, which also forms the third part of the NSCA Grand Prix, players will be pleased to know that all Grand Prix scores have now been updated, and the leaders in each section can be found here. The entry form for those County Championships can also be downloaded here. During the Christmas period a number of players also made the trip down to Harrow to take part in this year's LJCC - the London Junior Chess Championships. This prestigious tournament take place over a weekend before Christmas for some sections, and then over a period of days between Christmas and the New Year in others. In the under 12 minor section Jason Lv (from just over the border in Leicestershire) scored 6 out of 9 to earn him joint 7th place, whilst in the under 12 Major section Lucian Cox scored 4.5 out of 9 and Alexander Richards 4 out of 9, as did Umar Syed, also from just over the border. Umar had already played in the under 14 minor section, scoring 4.5 out of 6 and finishing joint 3rd! Toby Cox played first of all in the under 14 major section, scoring 2.5 out of 6, but then followed that up with 4 out of 6 in the under 16 section, finishing joint 4th. His brother Ben Cox also played in the under 16 section, scoring 3.5 out of 6. Well done to all of these players, for first of all making it to this year's competition, and then for playing so well in what were very large fields of very high level players. ​If you would like to see all the details of all the sections in this competition you can access them via the LJCC website which can be found here. Our annual Christmas Congress took place on Friday 29th December at St. Peter's Independent School in Northampton. Despite difficulties at the beginning of the day (a change of head master had unfortunately led to access problems) any lost time was made up during the day, and we finished on schedule. However, we would very much like to thank all the players and their parents for their great patience and understanding. Photos of the day can be found here, whilst all the scores from all the sections can be found here. This event was also the second part of the NSCA Grand Prix, and so many of the sections for that have also been updated here. However, apologies for the lack of update in the under 18 section - this should be rectified very soon, and we will post on here again when that has been rectified. Our season finally got under way, and with it being bonfire night weekend it was appropriate that it started with a bang - in the under 11 section amazingly four players finished on 5 out of 6, resulting in some number crunching for the organisers to determine who had won at both under 11 and under 10 levels. The one perfect score came in the under 9 section, with Mihir Sharma winning all six of his games, whilst in the under 18 section Samia Sheik scored an impressive 5.5 out of 6. All the scores and a few photos from the day can now be found here. This was also the first part of this season's grand prix, the leaders of which can he found here. Our next tournament will be the 14th Christmas Congress, which is being held on December 29th. The entry form for our first tournament of the season, our Junior Congress on 4th November, is now available and can be downloaded here. For a number of reasons, some heath related, and others purely logistical, the NSCA website has seen very little in the terms of updates over the past few months. We would like to take this opportunity to apologise for this recent lack of information, and hopefully this should all soon start to be rectified, first of all with an update to the season's calendar, and then with the publishing of entry forms for the first tournament of our 2017/2018 season, the 38th Northamptonshire Junior Chess Congress, which is due to take place on Saturday 4th November at Wellingborough School. Entry forms for this tournament will soon be sent out to all players on our database, and will also be available to download here shortly. We will then also update you on the activities of junior county players from during the summer. Many thanks for your patience during this time. As part of the UK Chess Challenge, this year's Northamptonshire & Leicestershire Megafinal took place at Wellingborough School, and players from Northants, Leicestershire, and Rutland, as well as a few from further afield, gathered in their attempts to qualify for the Northern Gigafinal in Manchester. Congratulations to all the Supremos, Supremas, and those scoring sufficient to succeed in the qualification process. Once uploaded all the scores from all the sections will be available to view here. The last individual tournament of the season is also the last part in the NSCA Grand Prix, and it takes place on Saturday 10th June. Like last year it will be held at Our Lady's School in Wellingborough. Entries received after 3rd June cannot be guaranteed to be processed, so please get your entries to us in good time. You can download an entry form here. Although unfortunately Northants had no direct interest in either of these team competitions this year, players may be interested to know how the tournaments went. The under 9 title was taken by Kent, with a very impressive 34 out of a possible 36 points, whilst the under 11 title went to Richmond with 49 points out of a possible 60. Congratulations to both counties on their achievements. It is interesting to note that many of the top teams came from our qualification zonal, just showing how tough it is to proceed from our area. However, hopefully next year we will make it to one if not both of the finals again. ​You can see all the results from all these matches here.